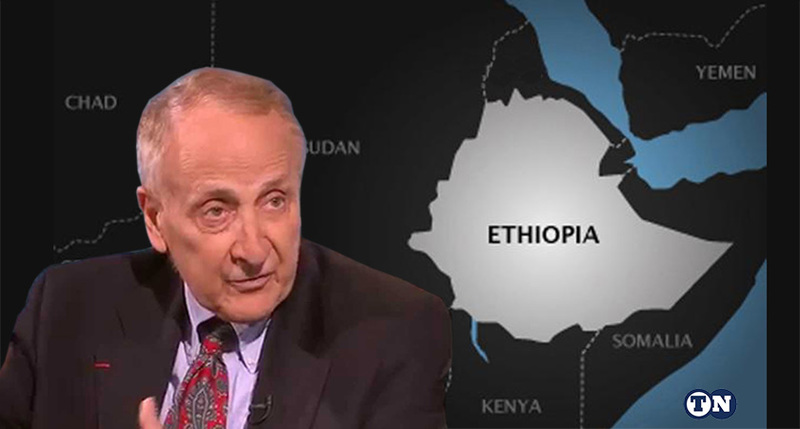 Ambassador Herman Cohen calls for the implementation of Article 39 of the Ethiopian constitution within the full meaning of the term “self-determination” to get Ethiopia out of the current crisis. This Constitution was adopted in 1994 and ratified in 1995. Between that year and the present, the “right of self-determination” among the country’s nine official “states,” within the official federal system, has never been implemented. Within the EPRDF, political, economic and security power has been controlled exclusively, until the present, by the hierarchy of the TPLF, whose insurgent military arm defeated the former dictatorship, known as the Derg, in May 1991. In that month, the TPLF marched into the capital city, Addis Ababa, and proceeded to establish its authoritarian rule throughout Ethiopia, with, of course, the exception of the former province of Eritrea, which won the right of self-determination and secession through its own military efforts. As of the end of 2017, the TPLF’s control of Ethiopia has begun to disintegrate. The two EPRDF coalition members that rule in Oromo and Amhara states, the OPDO and the ANDM, no longer accept directives from the ruling group in Addis. Ethiopian national military forces are operating against dissident groups in Oromo and Amhara states that host about half of the Ethiopian population. Police in these areas are not on the side of the federal military units. Violence has broken out in the southwest between the Somali and Oromo states – and there are indications it has been provoked by the TPLF hierarchy to punish the Oromo state for its growing dissidence from central authority. Desperation is widespread. Upwards of 750,000 have been displaced, and both sides have participated in ethnic cleansing. Tigrayans in the Gondar region of Amhara State have been targeted for their ethnic background. Universities have been closed due to ethnic violence among students. What are the causes of this breakdown in public order in Ethiopia? Use of lethal force has been the first reaction to disagreement from unarmed civilians. The killing of students on the steps of Addis University in 2005 established an infamous precedent. The educated younger generation is heavily unemployed. Prospects for those with diplomas are dim. Economic power and accumulated wealth are concentrated in the hands of the Tigray political hierarchy within the TPLF. Authoritarian power is exercised arbitrarily; farmers are evicted from their ancestral lands in order to lease massive acreage to foreign industrial agriculture interests. The regime exploits ethnicity to divide rather than to unite. 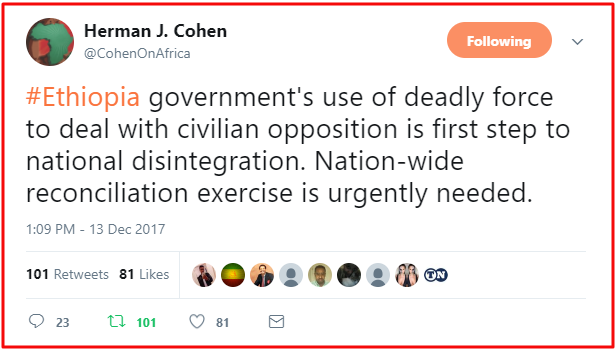 If the reports of the regime inciting cross border conflict between Somali and Oromo states are true, then it is clear that Ethiopia’s prospects for national reconciliation within a democratic dispensation are still a long way over the horizon.